The old shove-stuff-into-a-closet trick may have worked when company was coming over, but when buyers come to kick the tires, make sure all spaces – even closets, the basement and the cabinets – are clean, tidy and clutter-free. Getting your home ready for sale is sometimes not the easiest process. The challenges are not simply practical – they’re often emotional. That said, once you can get past the idea that your home is your castle and see it as a piece of property that you’re seeking to exchange for a royal sum, getting it prepared for the sales process can be less arduous and even – dare we say it – a little rewarding. Let’s look at a few ways to accomplish that. Hey, we understand the love that went into making your home yours. We get it. But look at it from a buyer’s standpoint: they want to be able to see their potential home as just that – their home. Here’s a somewhat harsh but realistic way to put this into perspective: the more of you that you can remove from the premises, the more of them they can visualize living there. Removal of personal effects, including family photos. Putting away children’s toys, sporting equipment, and any collections you may have. Getting rid of anything that might send the wrong message to a potential buyer, particularly anything controversial or politically incorrect. And hey, look on the bright side – the whole reason you’re doing this is to have a new home not only for you and yours but for your cherished possessions. It’s a fresh chance to make your own nest. You’re not just selling a home: you’re selling a living space that evokes all types of emotions. Unless you want these emotions to be negative, you’ve got to get serious about decluttering and getting your house sparkling from inside out. Talk to your agent. They will almost certainly have recommendations for service providers who in turn will save you a metric ton of effort when it comes to doing a lot of the heavy lifting (literally!) yourself. Clean the carpets, touch up the paint, and fix broken items. Some call these flaws character. Home buyers call them reasons to move on to the next listing. Understand that buyers will look everywhere, including your broom closet. Decluttering is not the same as stuffing everything into one hidden space. It means throwing away some things, donating others, and giving away still others. For more detailed information. Let the stager do their thing. A stager’s job is to make the place look livable, not lived-in. There is a difference. The first sells homes. The other doesn’t. Add curb appeal by installing outside lighting, adding container gardens and window boxes, and getting those weeds pulled – finally. Even giving your mailbox a makeover helps matters. Your agent will be able to provide more insight on all these items. After all, that’s their job! There is a psychology behind staging one’s home: in a sense, you’re stopping time. Done effectively, you’re communicating to a potential buyer that no one has ever lived here and that buying this house will make their lives simple and peaceful. Can you really do this with a little clever placement of furniture and neutral artwork? You sure can. Kick up curb appeal – potential buyers often drive by first to see if your home appeals from the outside. This involves fresh flowers and greenery, clean front windows, power-washed siding and walkways, and even something as small as installing easy-to-read house numbers. Clean and declutter. Enough said. Get it neutral and easy to swallow. Arrange your furniture symmetrically, use neutral tones, hang artwork that evokes calm, simple images. This place has got to appeal to as many people as possible. Clean out those closets. Don’t fool yourself – buyers look in there, too. Give extra rooms a clearly defined purpose. Guest rooms and offices are always popular. Most of all, give buyers the chance to see your home as theirs. It will pay off. Chances are you’ve created some damage in your home over the years. It’s fine – here’s where you’ve got to let down on your pride just a little bit and let your agent give you the lowdown on the minor (and maybe not-so-minor) repairs necessary to make your home shine. Exterior: this may require some sprucing up in order to get the best curb appeal possible. These repairs often include landscaping, replacement of missing fence boards, and siding issues. Paint: the word on the wallpaper is dated. Remove it and get out those rolling brushes. If you’ve got dark, dirty, or chipped paint, that’s got to go as well. Kitchen: this is one of a seller’s biggest points of appeal, so you’ve got to work with what you have and make it shine. Even a few replacements of dingy surfaces or faulty appliances will make a huge difference. 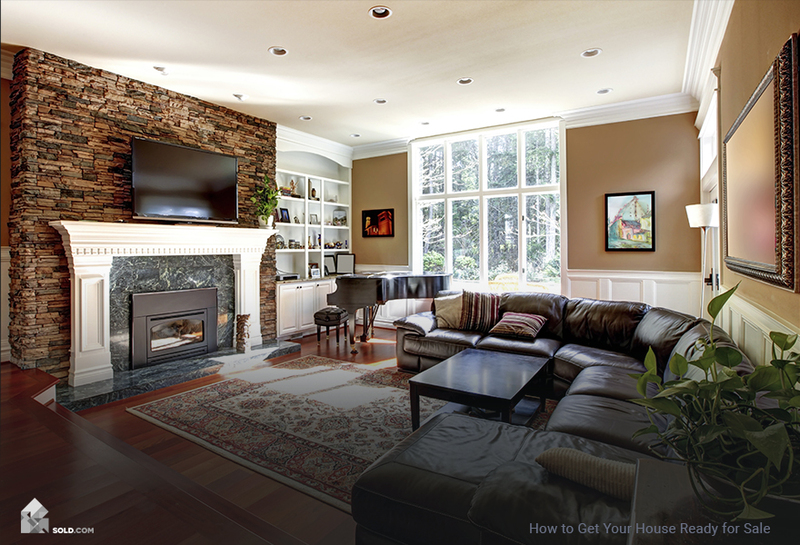 Lighting: you can make your home seem far more open and inviting with the right lighting tricks. You can also ask your agent for ideas. Do a pre-sale inspection. Be proactive here. Identify issues that may need repair before any buyer sees them, and you’ll reap the benefits. Your agent will prove invaluable here – they can give you an unbiased opinion as to what needs repair and replacement. You’re well advised to listen.